What is Decomposition technique in Project Management? In 2004, during my PMP exam preparation, tutor told us that decomposition is a technique for WBS creation. Till that time, I have heard about decomposition when I was in school only in subjects like biology and chemistry. Biology says – Decomposition refers to the reduction of organic materials into simpler forms of matter. Chemistry says – Decomposition is the dividing a chemical compound into elements. From above, we can generalize the definition of decomposition – it is dividing a large piece into smaller and simpler pieces. Now, it is turn of Project Management on decomposition. 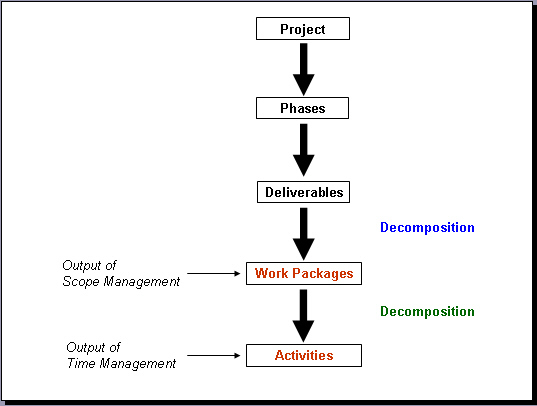 Decomposition is an important technique used in WBS creation (Scope Management) and definition of activities (Time Management). In scope management, project deliverables are subdivided into smaller and more manageable components until the work and deliverables are defined to the work package level. This is called as decomposition. In Time Management, each work package within the WBS is decomposed into the activities required to produce the work package deliverables. First, identify the activities you need to execute to reproduce the customer issue. Then, modify the software code to rectify the issue. Lastly, deploy the fix at customer end. Congrats! you have performed decomposition & activity sequencing successfully. Your list may contain more activities than what I listed above. Here, we subdivided a work package into smaller and manageable components of activities. This is often performed by the project team members responsible for the work package. Activities are vital input in performing a work. Correct level of decomposition in time management can produce accurate estimate of schedule & timely completion of project. Always remember, next level of decomposition is possible only when we have clear understanding of deliverables at a particular level. This entry was posted in Project Management, Scope Management, Time Management and tagged Activities, Create WBS, Decomposition, Project Management, Scope Management, Time Management, WBS, Work package. Bookmark the permalink. Cost and schedule planning can be done at any WBS level, even level 0. If you’re rolling out a software bug fix, you should add a testing step in the WBS. I recommend spell/grammar check. Babou, it’s a nice article! I like how you used both definitions of decomposition to draw a new definition in terms of PM. A clear, big-picture view of the decomposition technique is given; I found it very useful for me. I would add that work decomposition along with WBS technique is widely used in projects managed under the ideas of PMBOK. Decomposition follows what scholars often refer: ‘reductionist’ approach. You breakdown a system into smaller, more manageable elements and deal with them in isolation. Despite its usefulness, the approach is often criticized due to its inability to handle ‘systemic’ problems. 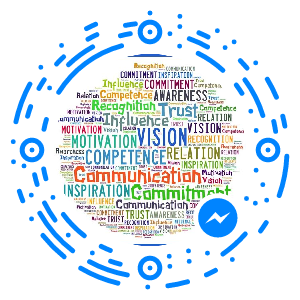 Scan it to message me in FB messenger! What does Tannenbaum & Schmidt Continuum Theory say? Some of the links to the product reviewed in this article are affiliate links. If you buy this product after clicking one of the links, it will indirectly contribute toward maintenance of blogs.